Since 1996 Telcom & Data has been installing cabling system and is equipped to handle up to the very largest projects. 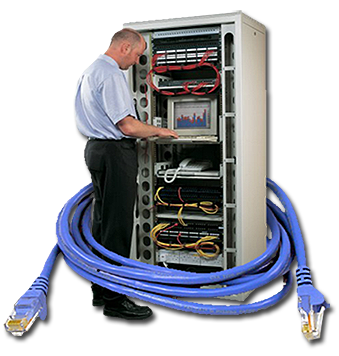 We can provide complete turnkey installation including voice and data cabling, data racks, data center design, Dmarc extensions, ordering of phone circuits, installation, programming and training. Our technical group is up to the challenges that quick moves or rapid deployments require. Telcom & Data provides rapid deployments for large nationwide customers in retail, restaurant and hospitality industries. Coordinating installations can be problematic but Telcom & Data Inc. has the experience to make your next project a breeze. We have a network of over 1600 technicians and can provide complete detailed quotes on any job.